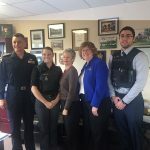 BELLEVILLE – Loyalist College and the Belleville Police are planning to expand their partnership. 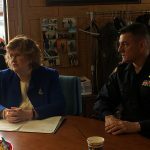 At a press conference held at the police station Thursday morning, Chief Ron Gignac said the police want to enhance their relationship with the College by increasing the number of placements for students, giving them a chance to work in various aspects of policing, from communications to marketing. 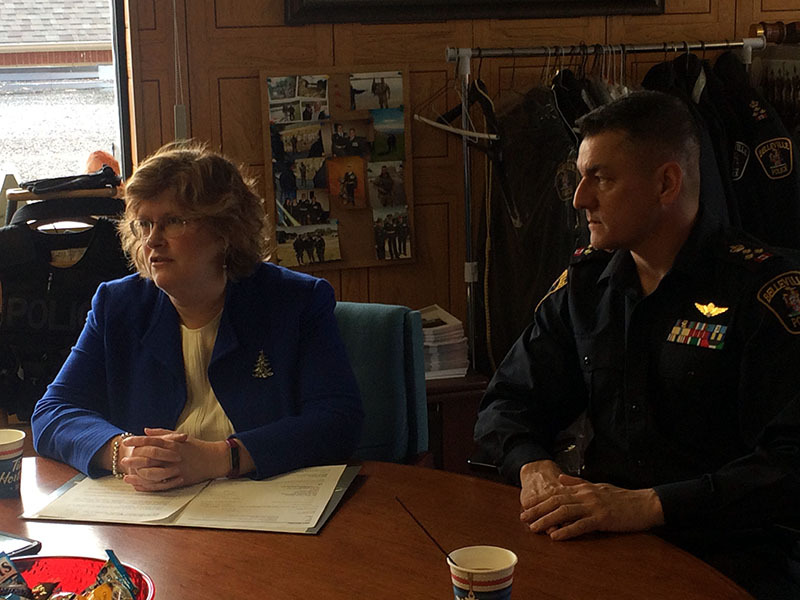 “That’s how we become more efficient and effective” – the relationship “is multifaceted,” Gignac said. 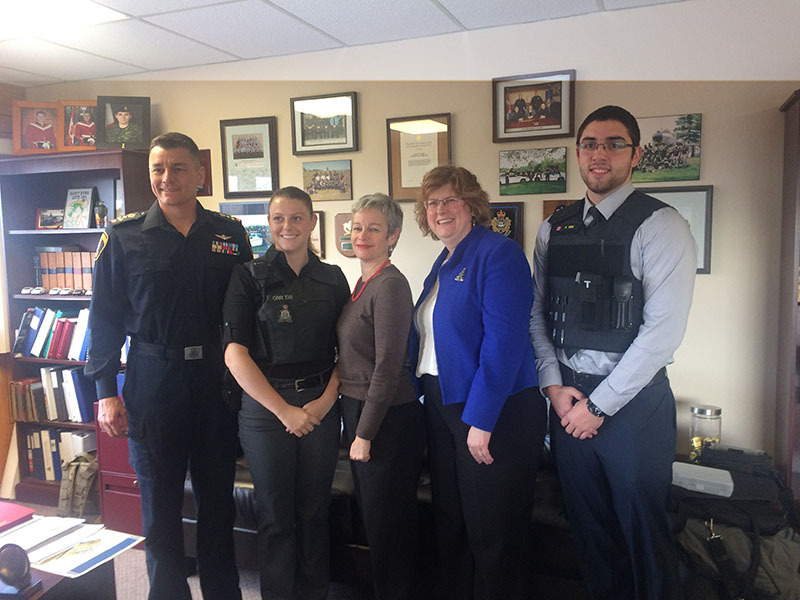 Loyalist College’s partnership with the police is more than work placements for students, however. 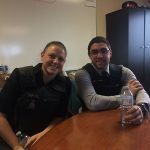 There are opportunities for students to get hands-on experience such as riding with police officers, doing law enforcement and getting involved in community response activities. 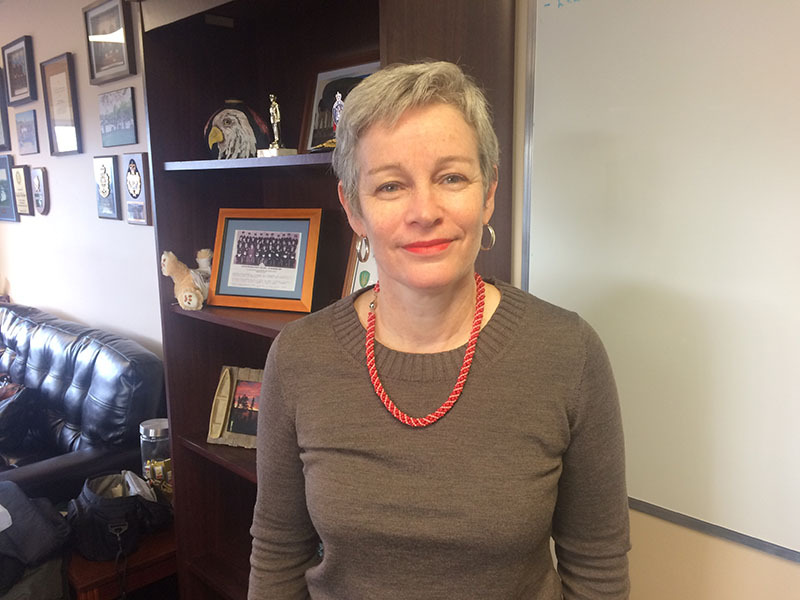 Loyalist president Ann Marie Vaughan noted that 43 per cent of the calls the Belleville Police receive are related to mental-health issues. 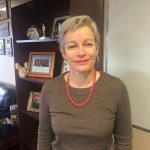 “The complexity of care and support in the community necessitates and provides an opportunity for us to enhance our relationship,” she said. 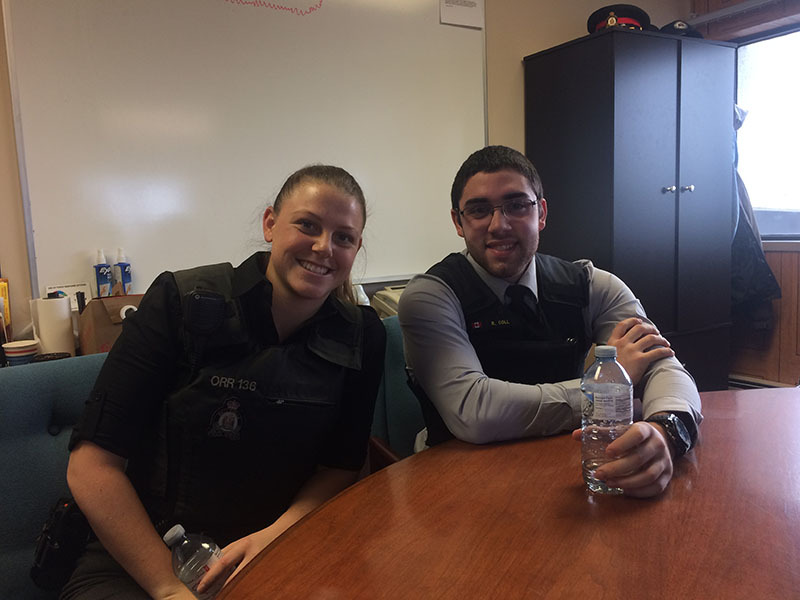 Paige Summers, a student in the postgraduate human resources management program, said she’s learning a lot during her placement at the police station.